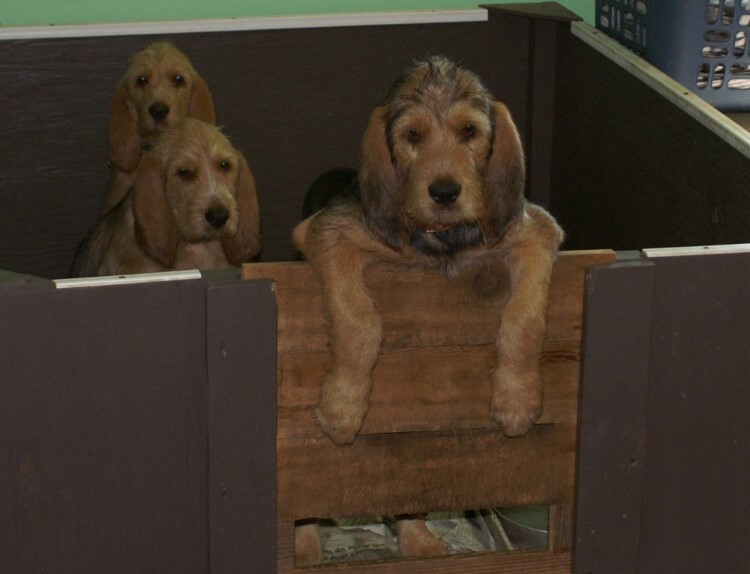 Here are pictures of a litter born at our home showing Otterhound Puppies in several stages of growth. 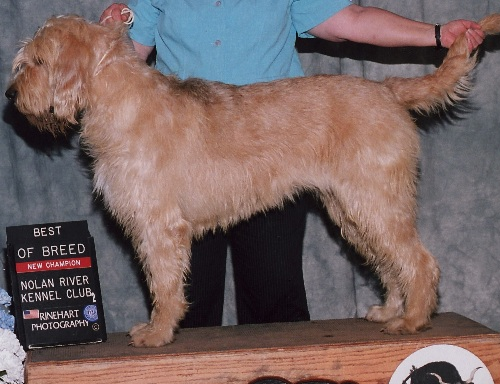 Otterhound puppies like all pups are born with their eyes closed. 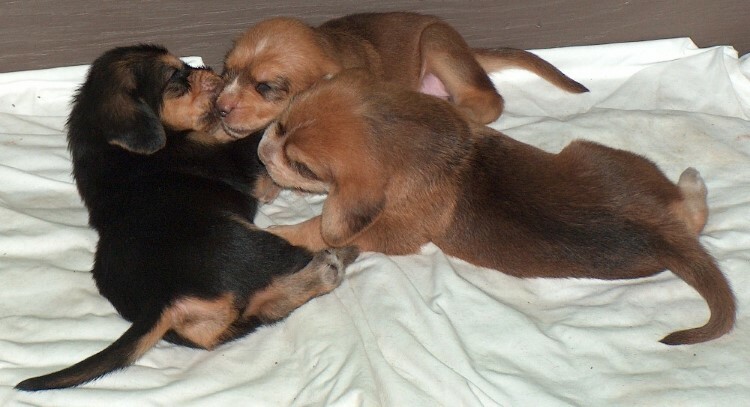 They also are born with stubby noses and little flaps for ears. The average weight of our pups has been about .9 pounds at birth. 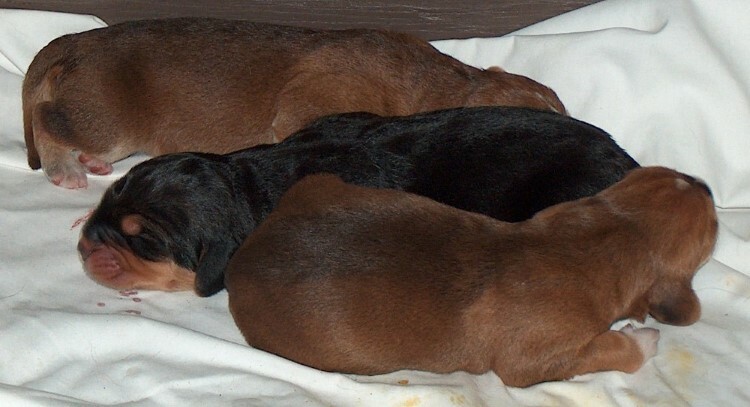 By eighteen days their eyes are open, their noses have started getting longer and their ears begin to look more hound like. 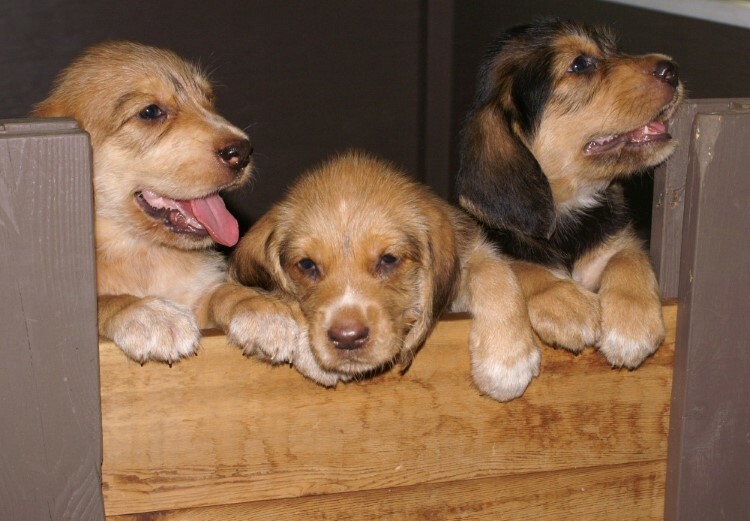 The Otterhound puppies are walking and playing between bouts of sleeping and eating. 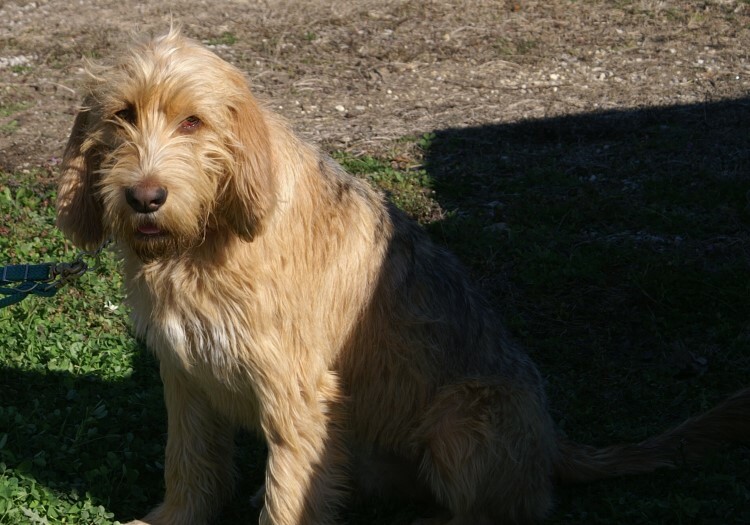 The Otterhound puppies’ noses have lengthened as have their ears. They are very lively and eager to get out and explore. 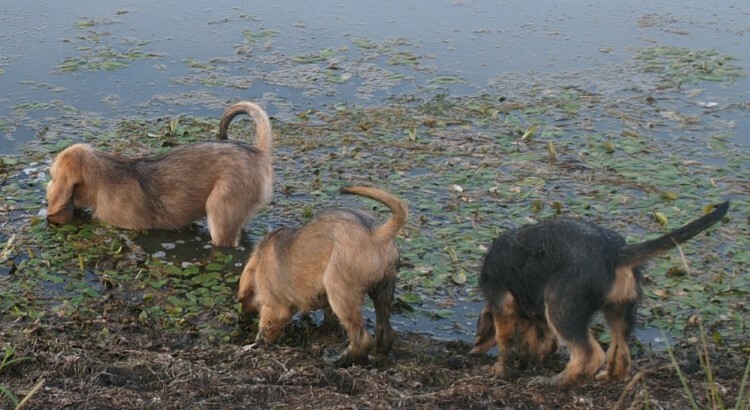 Otterhound puppies have no fear of the water. They have just about out grown their whelping box. The bottom slat which kept them in at first has had three more added along with a spacer. They have the run of the house having been house broken. 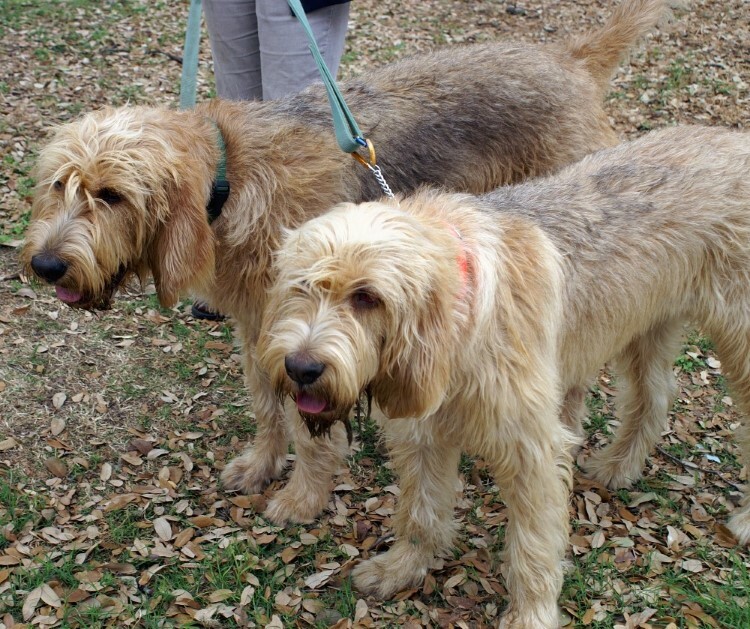 The Otterhound Puppies still need a lot of sleep after playing hard. Abilene is ready for her first show. Abilene and brother Abbott are attending their third show. Abilene received her first Major.